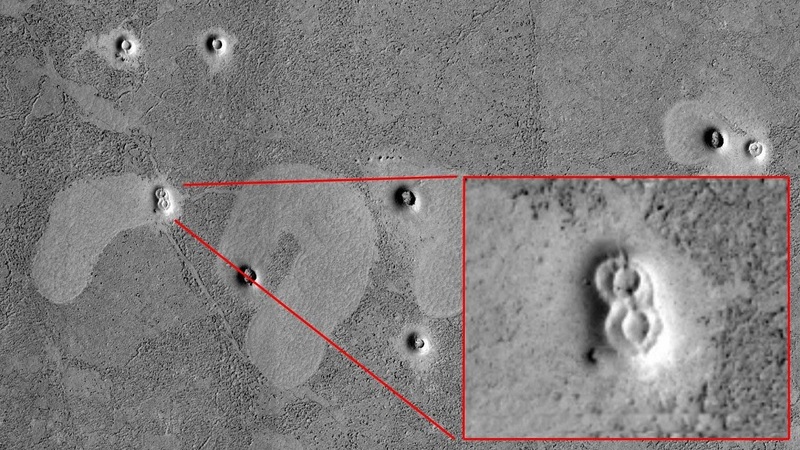 Ancient 'city ruins' discovered on the surface of Mars? Ancient ‘city ruins’ discovered on the surface of Mars? Mars has given us so much to think about in the last couple of years that its hard to put it all together. From a barren, and desolate planet, Mars has proven us that it’s more interesting than we’d ever thought before. Mars is approximately half the diameter of Earth with a surface area only slightly less than the total area of Earth’s dry land. Mars is less dense than Earth, having about 15% of Earth’s volume and 11% of Earth’s mass, resulting in about 38% of Earth’s surface gravity. But Mars is extremely similar to Earth in many ways. Experts have proven that the red planet was once strikingly similar to Earth, having an atmosphere, lakes, rivers, and oceans covering its surface. Not long ago, NASA revealed that Mars could have supported life as we know it but everything change when the red planet lost its atmosphere. According to scientists, the slow destruction of our neighbor’s planet atmosphere was caused by “huge rope-like tendrils of magnetic rotations. The red planet’s once hospitable atmosphere was blown away in the distant past. This means that when Mars was much younger, it was much warmer and wetter, meaning that it was a very good candidate for life to develop. Scientists believe that Mars’ oceans evaporated due to the planet’s thinning atmosphere which caused it to leak into space. Although Mars has no evidence of a structured global magnetic field, observations show that parts of the planet’s crust have been magnetized, suggesting that alternating polarity reversals of its dipole field have occurred in the past. However, there are more things on Mars that have caused confusion among experts. NASA’s rovers exploring Mars have noticed spikes in methane readings on the surface of the red planet. On Earth, 90% of all methane in the atmosphere is produced by living organisms. Curiosity captured traces of methane on the Red Planet and scientists believe this could point to the presence of life on the red planet, at this precise moment, although there are other possible explanations. But while Mars may not have life now on its surface, many scientists argue that in the distant past, the red planet may have supported life—and not only primitive life—but advanced complex life forms that may even have built structures on its surface. One such scientist is Dr. John a plasma physicist who got his degree from UC Davis and who has seemingly had a distinguished career as a scientist argues that Martian life was purposefully destroyed with nukes. And curiously, each day new images from Mars prove that there’s something odd on its surface. In the last couple of years, countless images from Mars have been analyzed by alien hunters across the globe. Some of them—awkwardly—show what appear to be artificially made structures on the surface of the red planet. Would we not find traces of such life today? Images beamed back by NASAs Mars Reconnaissance Orbiter show an area on the surface of Mars covered with odd ‘structures’. 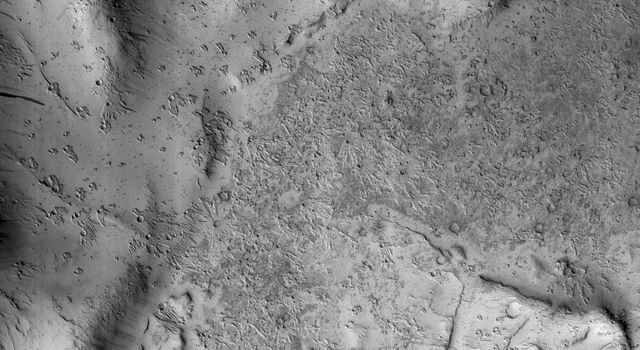 NASAs MRO captured numerous images of strange shaped ‘craters’ on the surface of the red planet. The images show a surface covered in ‘secondary craters’ – but astronomers are mystified by how they developed their raised appearance. NASA has admitted it does not have a conclusive answer to this enigma. “One idea is that the region was covered with a layer of fine-grained materials like dust or pyroclastics about 1 to 2 meters thick when the Zunil impact occurred (about a million years ago), and the ejecta served to harden or otherwise protect the fine-grained layer from later erosion by the wind,” wrote NASA. In addition to the above image from Mars, other areas on the surface of the red planet show equally puzzling ‘structures’. UFO and anomaly hunters see these structures as conclusive evidence that an ancient civilization may have existed on the surface of Mars in the distant past. Located near Elysium Planitia near the red planet’s equator are a series of structures that have sparked an online debate about ancient life on Mars. The ‘controversial’ images were also taken by NASA’s Mars Reconnaissance Orbiter –MRO.